Less than 24 hours after we reported Wantster had teamed up with America's Worst Charity and America's Worst Person, the cheap Pinterest knock-off is ending its partnership with Kids Wish Network (but affirms it's dedicated to promoting Chris Brown). Following our announcement yesterday to partner with Kids Wish Network, Wantster.com has pulled its involvement after learning of the organization's questionable past. 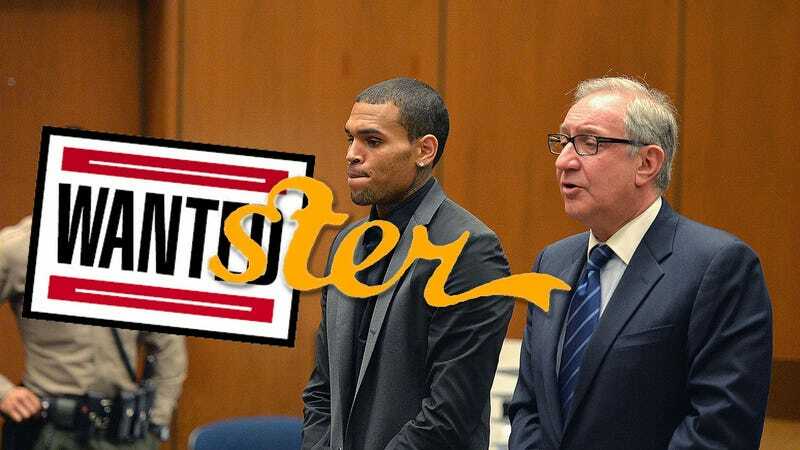 Knowing Chris Brown supported the charitable organization as a past do-gooder and having him headline the Energy Rush concert series that Wantster is sponsoring seemed like a natural tie-in for Wantster to make a sick child's biggest "want" come true. "When the opportunity presented itself to bring a sick child to the concert to meet "his hero Chris Brown", we wanted to check it off his "want list" by arranging a personal meet n' greet with the singer following the concert. Chris Brown was quick to work with us on this initiative and we thank him for that", says Wantster CEO Ky Joseph. While the company is proud to maintain its sponsorship of the Energy Rush concert series with Chris Brown on the moniker, it is now sourcing an alternate organization to work with on this initiative, whose mandate is also to grant wishes to those facing health challenges. As always, you can browse the Tampa Bay Times list of "America's Worst Charities" here.